The myriad ways in which we live have captivated author, lecturer and journalist Ro Logrippo since her childhood days in rural Pennsylvania. Her family operated a small rug mill near Valley Forge and weekly visits there fostered a fascination with colorful fibers and other manufacturing wonders. "My first strong impressions about interior environments," Ro says, "were when I was 11. Our family home underwent major renovation, beginning in my tiny upstairs room. I remember being awfully haughty about the remodel being launched there. I viewed this as symbolic that my needs took precedence over older brother Jimmy's," she recalls with a laugh. Design for the young became the focus of Ro's writing and lecturing over a decade ago. Prior to that she concentrated on general home issues, after earning a bachelor's in journalism from Marquette University. Initially, Ro was Home editor for a San Francisco Bay Area suburban daily. Later, she became a contributing editor of Designers' West magazine, writing the column "Design for Special Populations", including children. Her "In My Room " children's design column was syndicated by Universal Press Syndicate to 200 newspapers worldwide from the Los Angeles Times and Chicago Tribune to the Vancouver Sun and Saudi Gazette. Its awards include first place honors from the National Federation of Press Women, the largest media organization in the U.S. The Arizona design research and communications firm Living & Learning Environments is owned and directed by Ro. It was founded in the San Francisco Bay Area by her late business partner Tony Torrice whose theories about "co-designing "environments with kids are detailed in the book In My Room: Designing For and With Children . Co-authored by Ro, the book is endorsed on the jacket by noted child psychologist Lee Salk, Ph.D., who calls the work "an enormous contribution to the mental health of children and the strengthening of family life." It received top honors from the national press group NFPW. Ro's column research and interviews with leading children's specialists form the foundation of her solo publishing venture: In My World: Designing Living & Learning Environments for the Young., published by John Wiley & Sons. This book and its predecessor led to appearances on ABC-TV's "Good Morning America" and "Oprah" shows and Lifetime TV's "Our Home ." The author's views on design also have been the subject of hundreds of print media features in publications ranging from Time, Child and Better Homes & Gardens magazines, to the New York Times, Montreal Gazette and San Francisco Examiner newspapers. Throughout her career over 70 national and regional honors have been bestowed upon her by groups including the International Reading Association, American Society of Interior Designers, International Furnishings and Design Association, Dallas Market Center and California Press Women. CPW singled her out as their 1997 California Communicator of Achievement, and IFDA's Education Foundation granted her a fellowship to poll youth worldwide about their room preferences as a way to discover their values. American, French, Russian, Japanese and British youth participated in the In My Room poll. Two design symposiums on public issues have been coordinated by Ro for the American Society of Interior Designers. "Design of the Times: The Homeless" roused professionals to renovate shelters nationwide. "Design of the Times: Day Care " spurred them to establish day care interior design guidelines and was acknowledged by the U.S. Department of Education. As co-chair of The National Task Force on Day Care Interior Design, Ro wrote its landmark report: Design of the Times: Day Care. 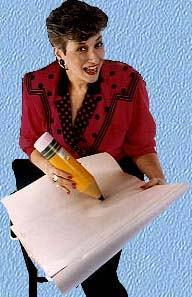 KidSpace Design, the first online forum dedicated to family design issues, was created and managed by Ro for msn from 1995 to 1998. It enabled kids and parents to share customs and concerns from room set-up to recycling, and reached families on six continents with electronic links to the rest of the globe. Ro also reached worldwide audiences through lectures about design for the young. "Creating KidSpace for Living & Learning" focused on residential design that sparks discovery outside the classroom. It features rooms coast to coast, and spotlighted nationwide designers committed to creating kids' rooms that inspired and instructed the ones living there. Currently Ro is the publicist for the memoir "From Under the Russian Snow" by author Michelle A. Carter.